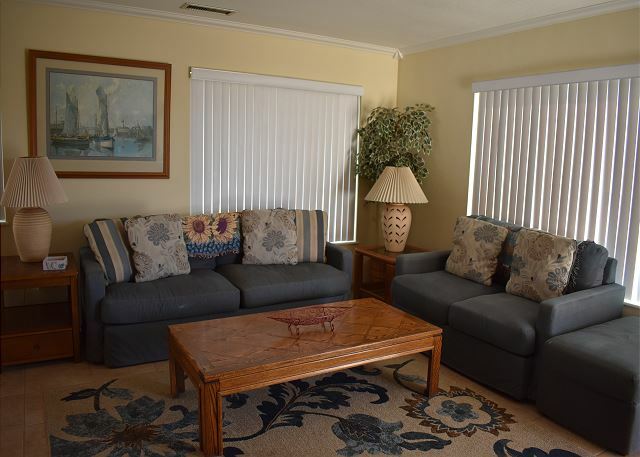 For Rent Duplex is a 2 bedroom, 1 bath unit that is just three blocks from the ocean. 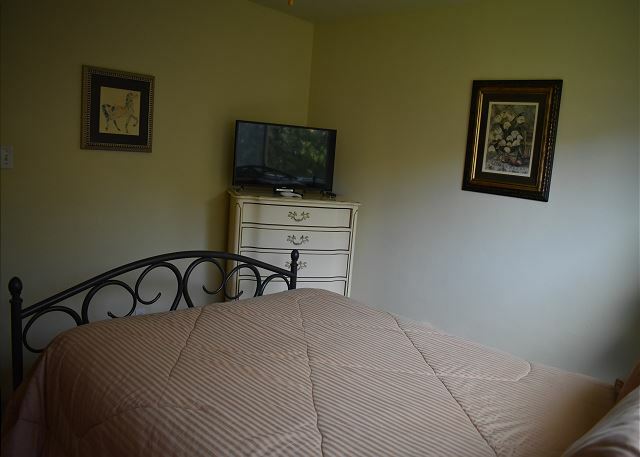 Pismo Beach Rental Amenities Include: Queen size bed in each room. Dining Area with dining table that seats 4 and bar that seats 2. 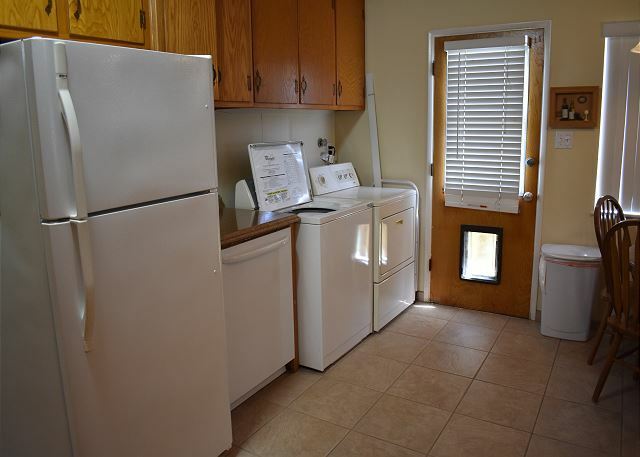 Kitchen that is fully equipped with dishwasher, microwave, washer and dryer. Living area with TV/VCR, basic cable and a stereo. Enclosed yard with lawn. Pets considered. Sleeps 4. THIS PROPERTY DOES NOT HAVE AIR CONDITIONING. 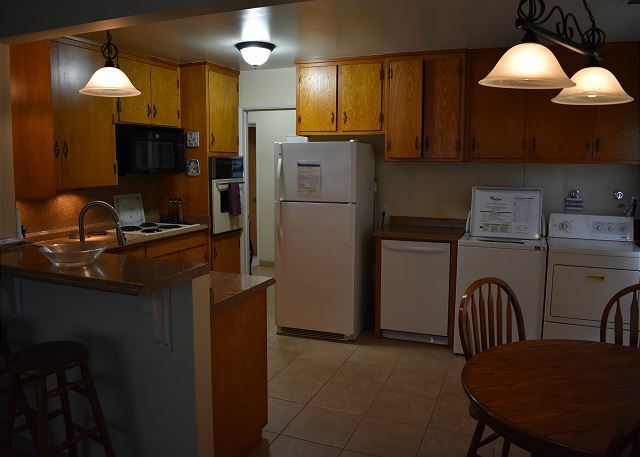 "I travel for work and if you want a place to be at home yet walking distance to all Pismo Beach has to offer you just found the place"
"We love the location and the town. 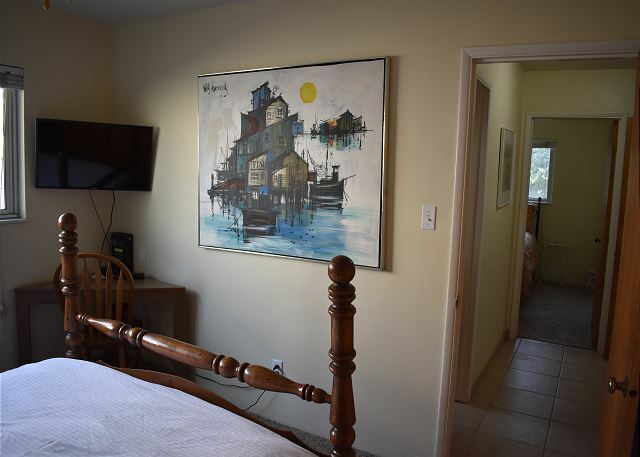 We’ve stayed here in times over the years and highly recommended it." 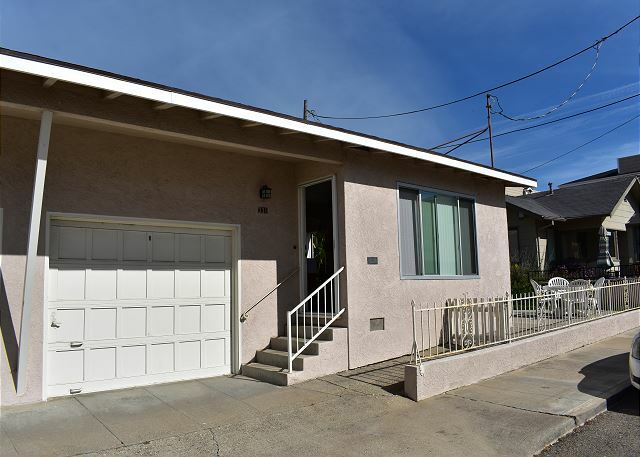 "From the beach to walking distance to every thing to partying in the back yard that is open to sidewalk. 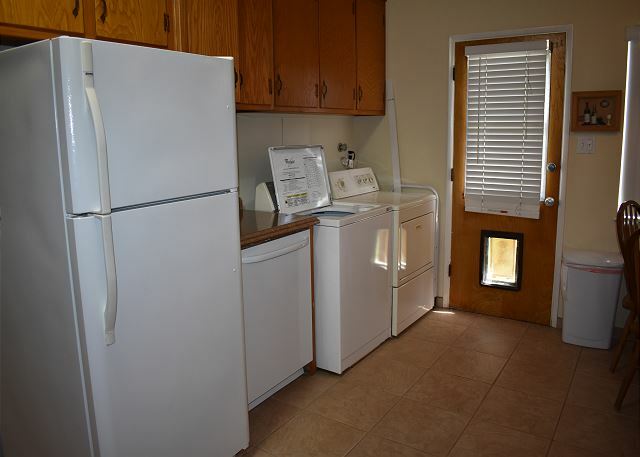 A great place "
"Great location!one block from the beach. Walking distance to all the important things, The Old West Cinnamon Roll store, The Shoe Tree and all the shops and restaurants of the downtown area. We stayed here two years ago. The house has been upgraded since then. The yard is perfect for the dog. 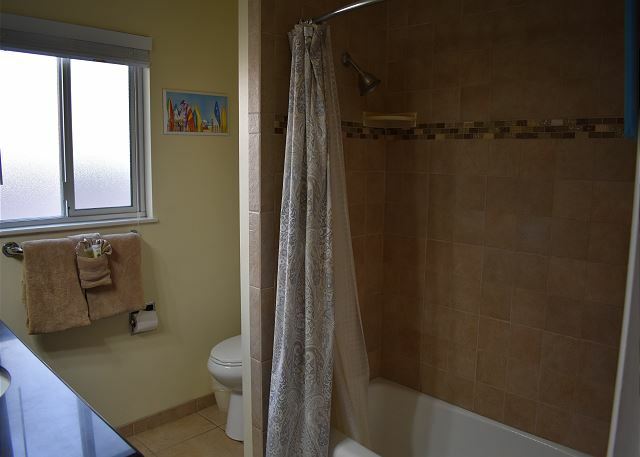 "We were very comfortable in this little duplex. We had to bother the office about the TV, but we probably would have to no matter where we stayed. We had quite and we were close to everything. It had a small yard for our dog. It did have a problem with the doors and keys. Very hard to open, because the doors were swollen." There is a lovely area just north with a beautiful bluff walk that leads t a park. Don't miss this view! Also, there are many local hikes. We enjoyed the Bob Jones Trail and Avila Beach as well." 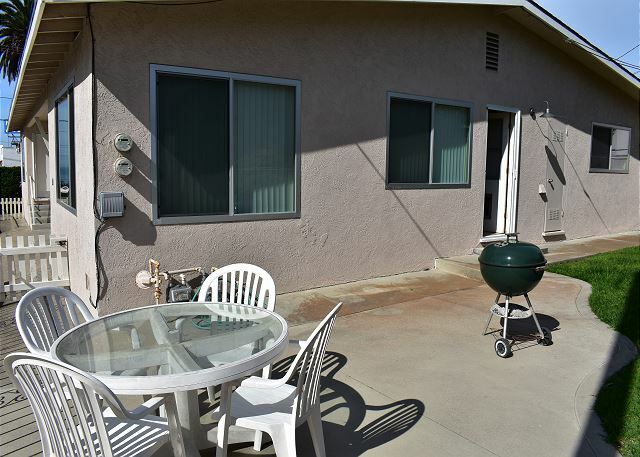 "Very happy with this condo very close to everything I needed and wanted this condo has a nice little yard and I enjoyed sitting outside and enjoying the view and weather can't wait to go back there soon. " "My wife and I rented this home for a 30 day stay. 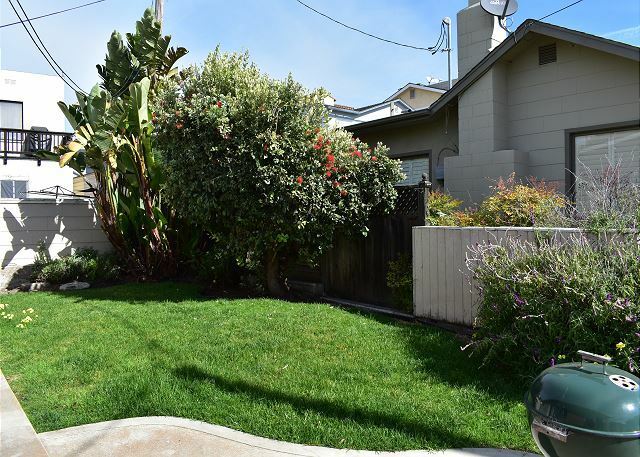 The location is superb being a few blocks from the ocean and adjacent to Hwy 1 in Pismo Beach. 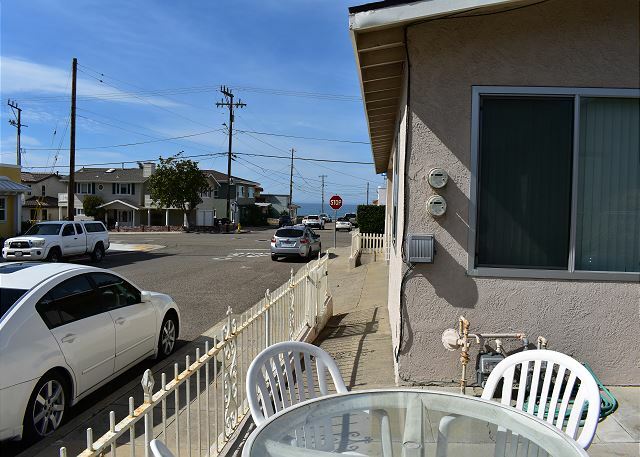 The neighborhood is quiet and residential, however, if desired, the hustle and bustle of the tourist/resort atmosphere of downtown Pismo Beach is only a 5 block walk. 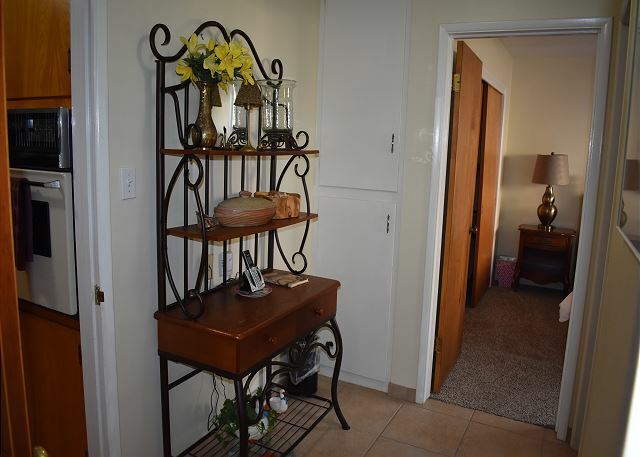 This little home has everything you will need: 2 bedrooms w TV's, fully stocked kitchen, lovely appointed living/dining area, a fenced-in grassy side yard, an inside garage and much much more. 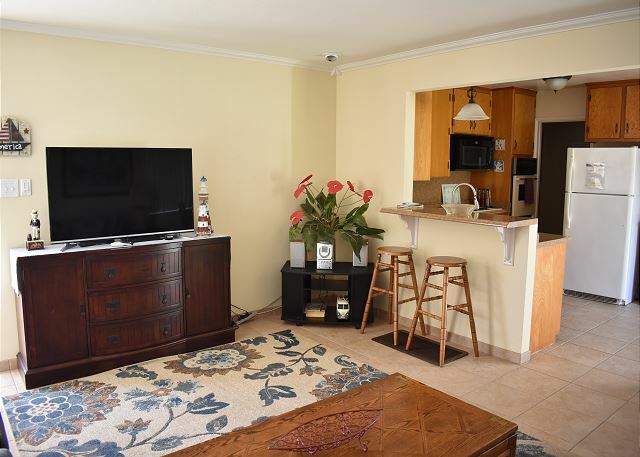 This is also close to Hwy 101 allowing numerous day trips to San Luis Obispo, Hearst Castle and all of the surrounding beach towns of the central coast." "The rental was adequate. 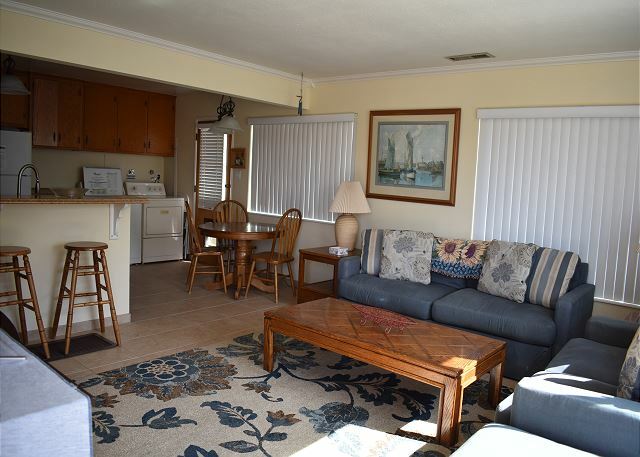 Enjoyed the location just a short walk to the sand and pier." 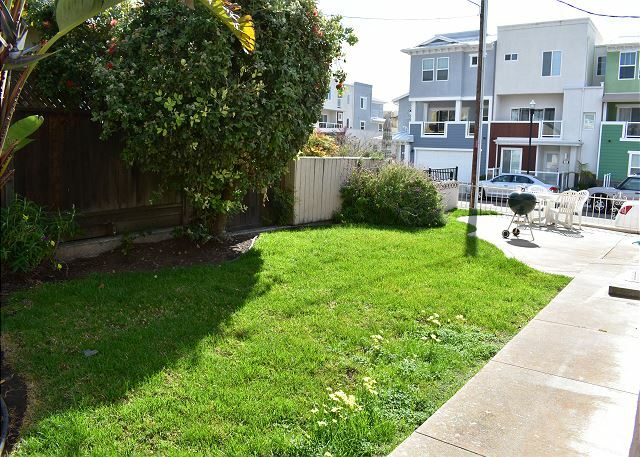 "We love the location of block from the beach!" 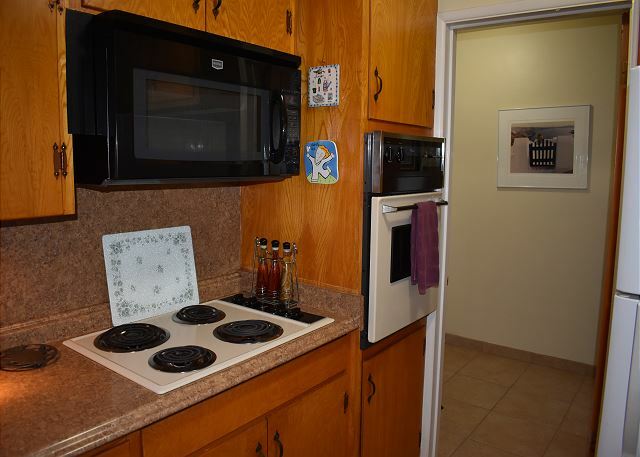 "A short walk to the beach and downtown. Great vacation home. " "My wife, dog and I stayed 5 months here while our daughter finished up her time at Cal Polly. We had a great time. Walked on the beach every day, visited dozens of near-by wineries. Lots of great shops near-by too. 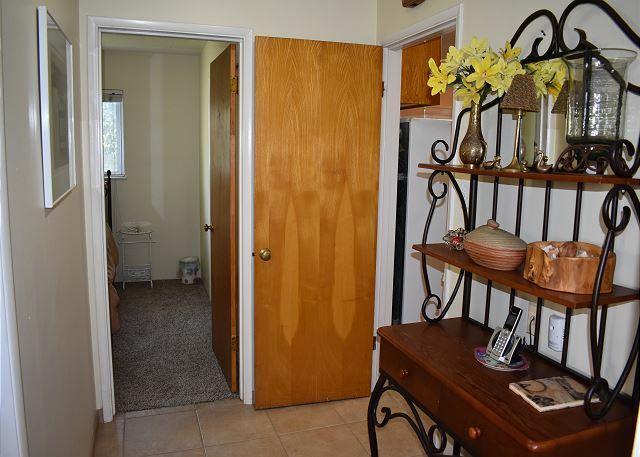 The apartment was great, and bigger than the pictures on the web looked. Our dog loved the side-yard. We had tons of friends visit from Texas an Oklahoma (everyone wants to come back). The management office was very responsive. You will love this place! " "Satisfied= 4 Location= 4 Clean= 2...maybe even 1. Needs carpeting Mgmt= 5 Double Beds = NOT ACCEPTABLE. Better 2 twins"
"The location was great. One block to the beach. The property was in poor repair. The screen doors were falling off the hinges. The furniture was dirty. If you put the microwave on at the same time as the stove or the oven, half of the house lost power. There are black widow spiders in the garage and in the water heater closet. There was evidence of vermin in the garage. Every window is cracked. The front window is held in place with duct tape. I could go on but I think I've made my point. This could be a really great place if the owner put some effort into fixing it up." 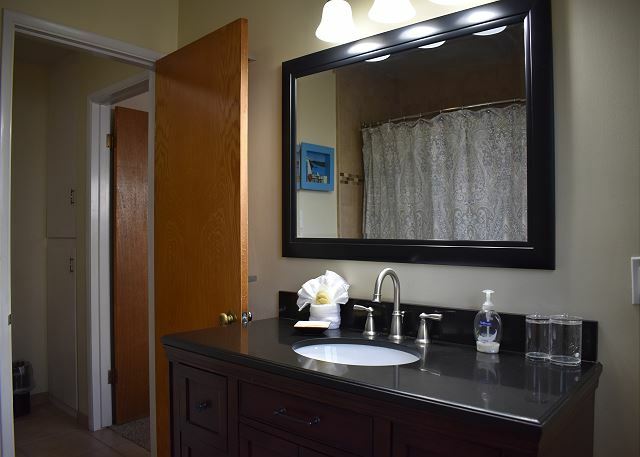 "House was not as clean as it should have been, had not been vacuumed or swept recently but everything else was fine. The breaker kept tripping but when we notified the manager of why they provided exactly what we needed to keep that from happenign again. We will stay again and will recommend this management service and this home to our friends. Thanks for a great stay!"